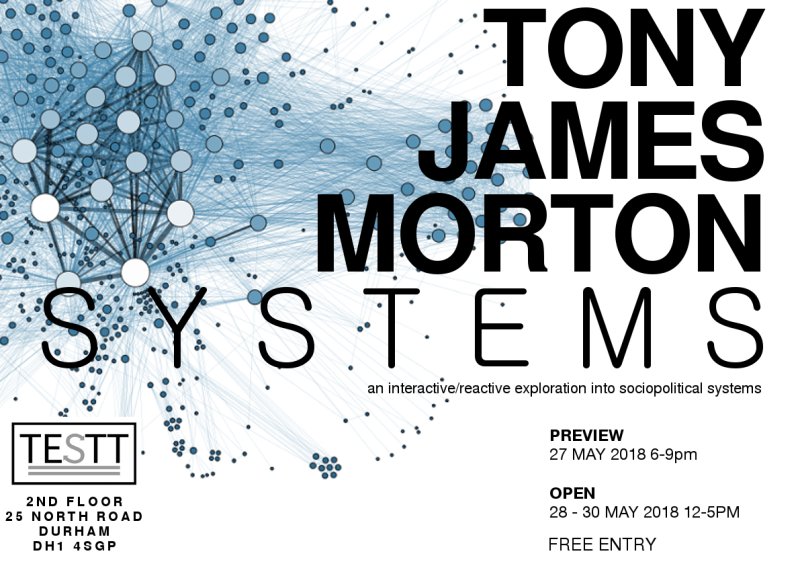 A new solo exhibition from sound artist Tony James Morton is set to take place at Empty Shop’s new TESTT Space in Durham. With a range of interactive and reactive A/V installations, the captivating visuals and sounds on show should make this an inventive exhibition. With systems all around us, the technical, political and the ones we live every day by, they are a key part of our everyday lives. We live by principles and procedures, and this exhibition looks at how those are all interconnected. The exhibition features pieces which are a reaction to the systematic idea. With pieces featured, If The Walls Could Sing – an interactive piece exploring the theme of keeping humanity divided through barriers; 8 Bit New – which deconstructs the huge role of ‘fake news’ and #140beats – which is an interactive piece creating useful music from useless spam. Taking immensely relevant subject matter and tackling it in a thoroughly modern way should make for an exhibition that leaves a lasting impression. There will be a preview hosted on Sunday 27th May 2018 with the exhibition running from Monday 28th until Wednesday 30th May at TESTT Space in Durham.